This salad is a go-to favorite of ours all year long but as we finally start to string some beautiful New England summer days together, I am starting to crave it even more! Blue skies, warm sun, eating outside…. 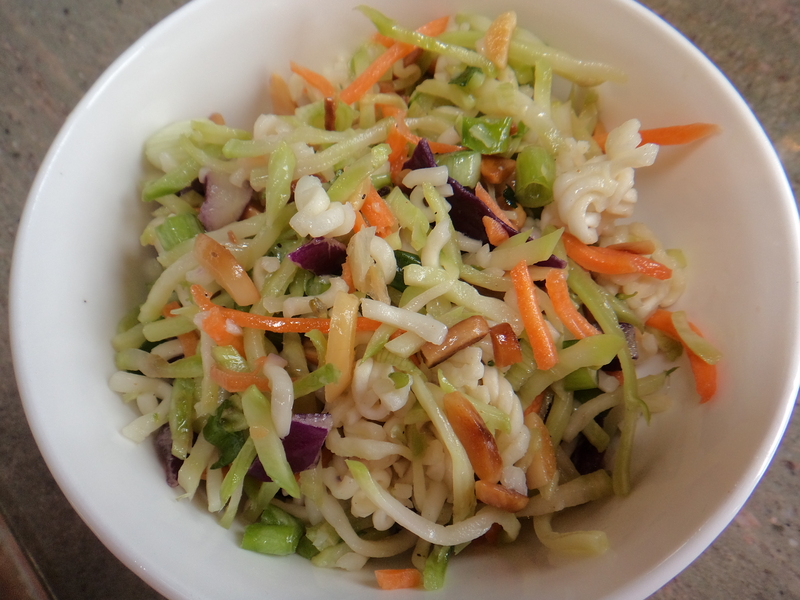 time to bring out some classic summer recipes and we love our classic Asian coleslaw!! One of my favorite side dishes … great served with cod, haddock, salmon, chicken, pork, or my kids love it paired with pot stickers 🙂 For a main dish, just add chicken and serve. I always make a double batch of dressing, toast up half a bag of almonds, and cut up the whole bunch of scallions then store them in the refrigerator. I can then whip this recipe up in just minutes!